An IDX-listed coal mining and energy company PT Bukit Asam Tbk or PTBA is preparing for coal production increase up to 60 million tons per year by 2023. The state-owned company is developing a number of supporting infrastructure projects in South Sumatra and Lampung Provinces. Arviyan Arifin, President Director of PTBA, recently said that PTBA aims to ramp up coal production up to 60 million tons by developing coal railways and coal ports. 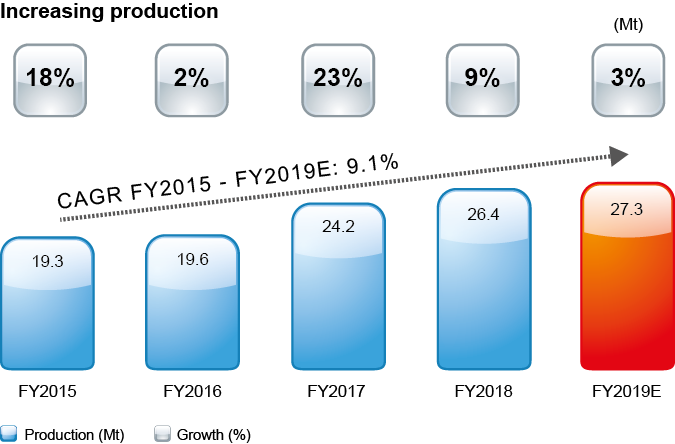 PTBA produced 26.36 million tons of coal in 2018 and is expected to increase the production capacity to 27.26 million tons this year. “The bottleneck is our coal logistics. We plan to increase the coal transport capacity starting from next year, which eventually increases our production,” Arviyan said. 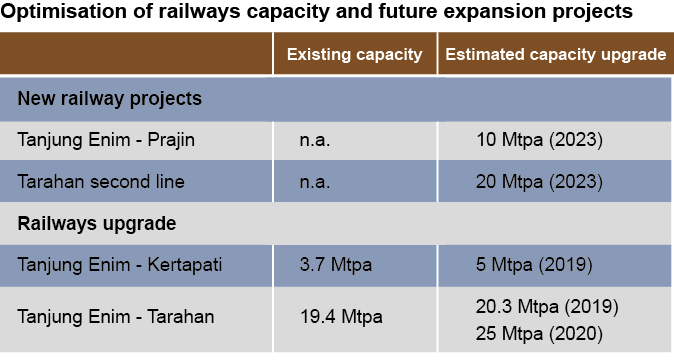 PTBA has signed agreement with PT KAI (Persero) to ramp up coal transport via railway in South Sumatra last year. 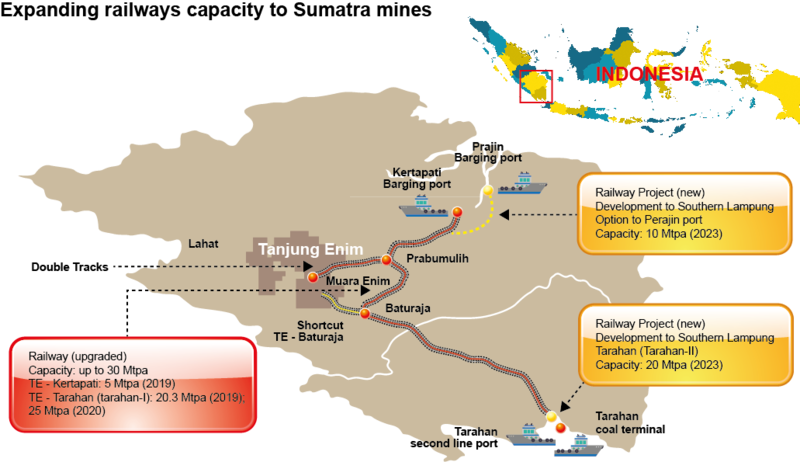 PTBA is also preparing for development of two coal ports in Tarahan II, Lampung and Prajin Barging Port in Palembang. 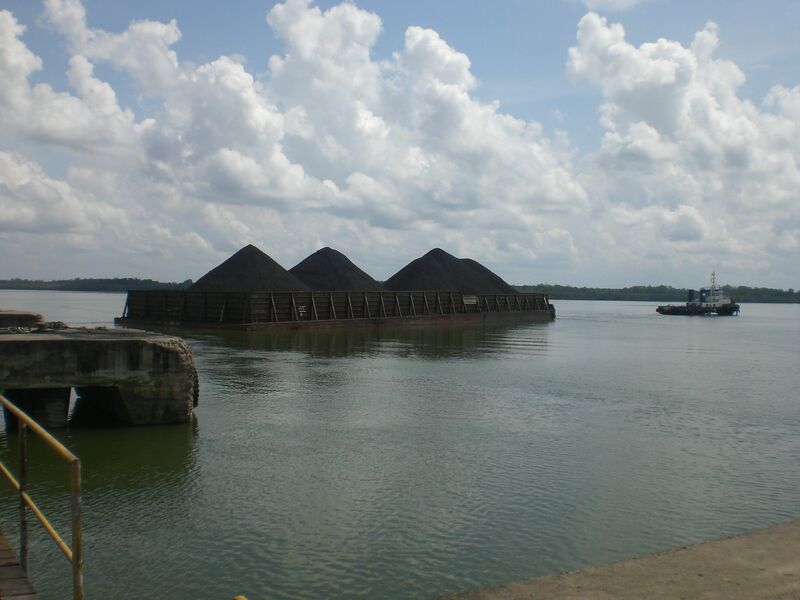 Currently, PTBA uses two operating coal ports in Kertapati, Palembang and Tarahan, Lampung with combined capacity at 30 million tons per year. “We are optimizing our coal ports both in Kertapati and Tarahan to increase the coal transport capacity for this year and next year,” Arviyan said. In Tarahan, PTBA will optimize the capacity up to 25 million tons per year and 5 million tons per year in Kertapati. PTBA, according to Arviyan, is conducting feasibility study of Prajin Barging Port in Palembang with total capacity up to 10 million tons per year. “We will develop railroad from the nearest train station to our coal port in Prajin,” he said. For another 20 million tons of additional capacity, PTBA plans to develop Tarahan II port which is expected to be able to accommodate two Panamax vessels. “We already completed land acquisition of 8.5 hectare near to our existing Tarahan Port,” Arviyan said. PTBA has allocated Rp6.5 trillion of capital expenditure this year, which will be mostly spent for developing coal supporting infrastructure, such as ports. 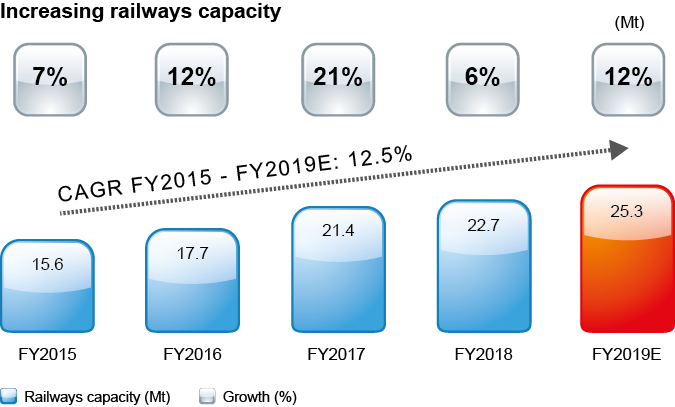 PTBA relies heavily on coal railway transport since it is, as of now, the most efficient mode of transportation. “As long as coal railway provides the most cost-efficient services, we will use railway to transport coal,” Arviyan said. PTBA had been considering other transportation modes in South Sumatra, both river and hauling road, but the company found that coal railway offers more competitive cost of transportation. In 2018, PTBA recorded positive performances in both of its operational and financial condition. 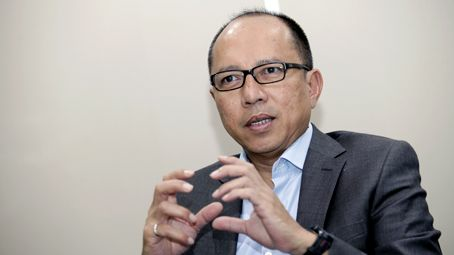 In fact, the company posted the highest-record of net profit at Rp5.02 trillion in 2018. It was contributed by strong coal export performances to countries such as India, South Korea, Hong Kong, and Thailand, while China has limited the coal imports. PTBA’s strong financial performance in 2018 was also supported by double capacity of medium-to-high calorific value coal to premium markets. 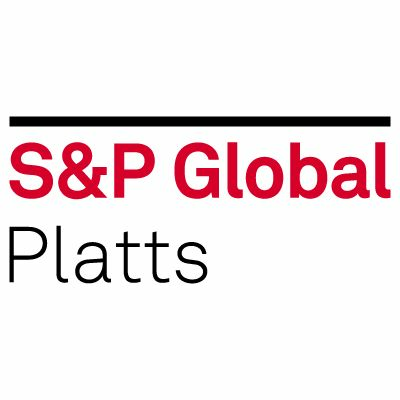 In 2019, PTBA plans to produce 3.5 million tons of medium-to-high calorific value coal. Arviyan said that the high rank coal export was able to compensate the impact of Domestic Market Obligation (DMO). However, he is committed to complying with DMO and all contracts with PT PLN (Persero) although the contribution of quota transfer mechanism was not optimal for PTBA. “The quota transfer mechanism was not optimal last year due to very limited window of time, since quota transfer could not be carried over to this year,” he said.